Wolverine® 6" Tremor DuraShocks® Slip Resistant Work Boots. These work boots also offer great traction. Don't slip up on the job! With these Men's Tremor DuraShocks® Slip Resistant Work Boots, a grippy rubber and polyurethane outsole helps you maintain your footing. These rugged outsoles also resist oil, water, abrasion, chemicals and heat. Save now thanks to my special deal! Nylon shank for flexibility and stability. State Width and Size, as available in the Shopping Cart. Order Today! 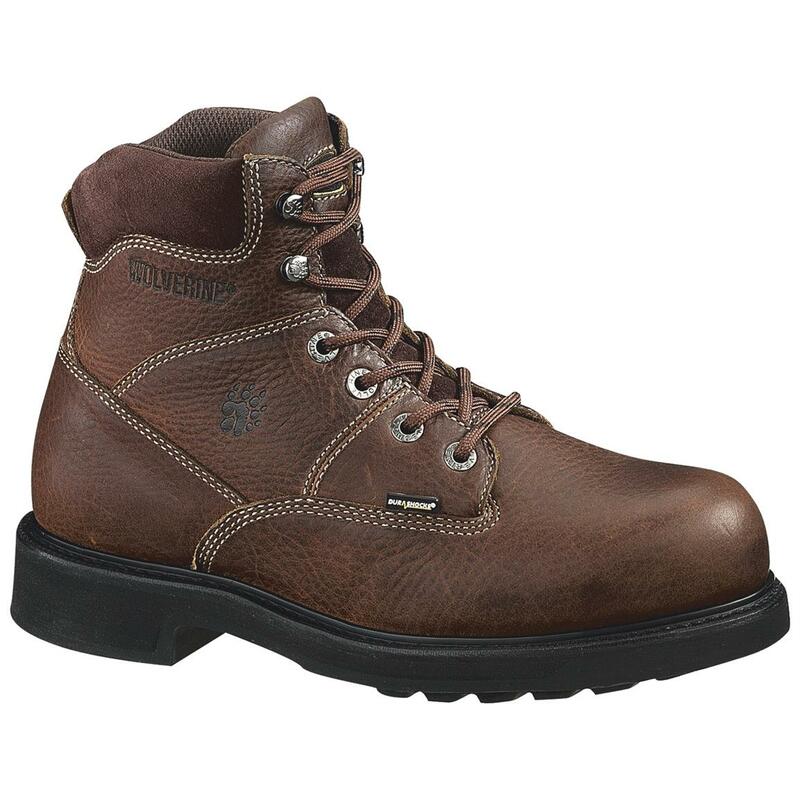 Wolverine Men's 6 Tremor DuraShock Boots, Brown is rated 5.0 out of 5 by 1.